This week some of my good friends and fellow skiers were passing through Montreal, leaving Montreal after many years, heading away on summer travels, cooking excellent dinners or any combination of the above circumstances. Needless to say I didn’t need much prompting to join them, especially when I heard that there would be delicious food on hand. 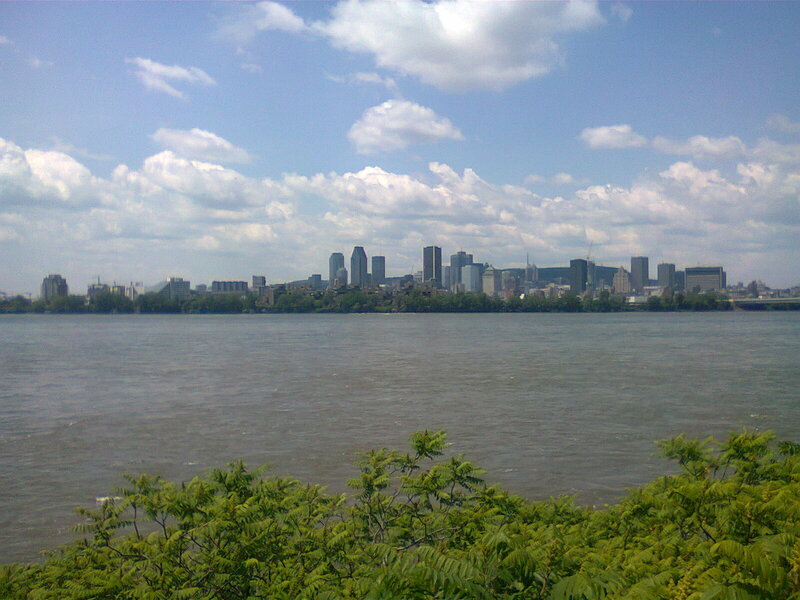 Montreal holds a special place in my heart. It is an incredibly vibrant city, with amazing linguistic and artistic variety. It also has training possibilities and skiing right in the centre of the city, and traveling out of the city to mountains is not as difficult as from some other large cities. Not your typical view while out for a rollerski. 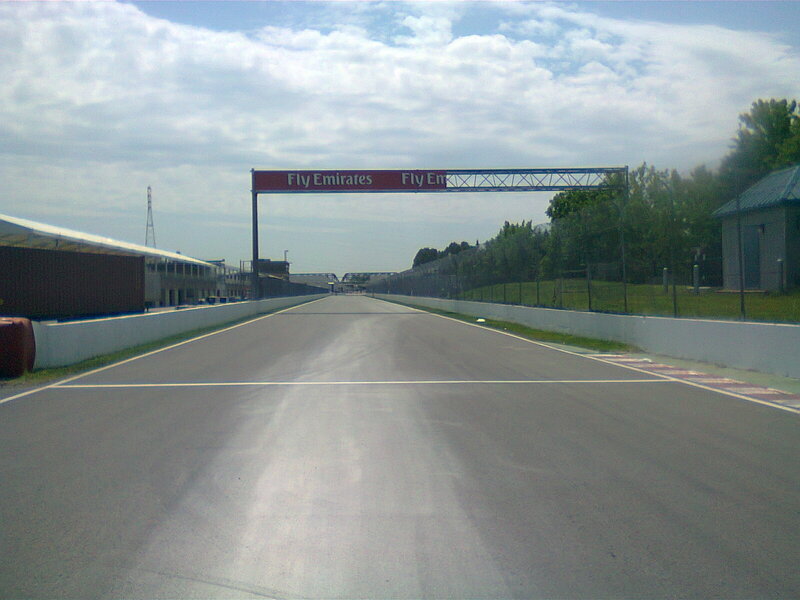 The first workout I undertook was a rollerski on the Circuit Gilles Villeneuve – the Formula 1 racing track. Anytime that it’s not being used for automobile racing the track is open to cyclists, in-line skaters and rollerskiers. The track is roughly 4km in length, amply wide, and paved with the smoothest pavement you’ll likely find in Quebec. The smoothest road in Quebec? 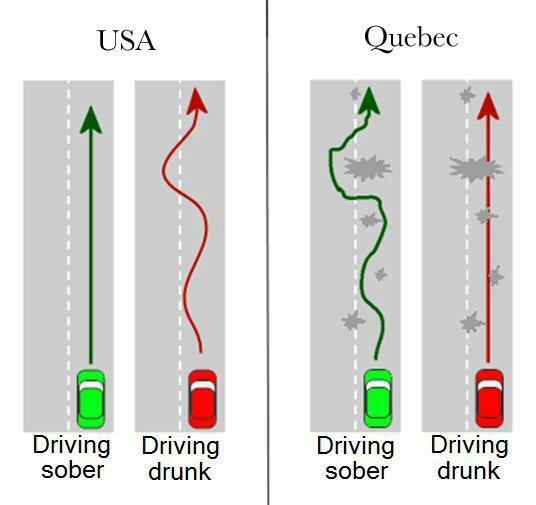 High quality roadways are not something that Quebec can boast about. Brennan pulls in for a pit stop on the F1 track. The workout was the same one that I wrote about last week – some arms only work, and some moderate paced intervals. This time I was lucky to have Brennan join me which always makes the intervals more fun (and easier to count when we’re doing 10×20 seconds of high intensity double poling, with 1.5 minutes of rest in between). Before leaving Montreal, my friends Alex, Liam and I piled three road bikes and ourselves into and onto Murphy and we set out for the Eastern Townships. For anyone unfamiliar with this region – Stewart McLean gave a description of it in his radio show this week. Despite the windy weather we were able to push through 85km in 2:45hrs. As always it was great to be riding with fellows who have many more miles in the saddle than I do! I would like to apologize for the slipping standards in the photo editing department this week – unfortunately the camera was forgotten and a cell phone had to suffice to bring you some images of the week’s training. May the road ahead of you be smooth! Taking up the pole position at the start line. 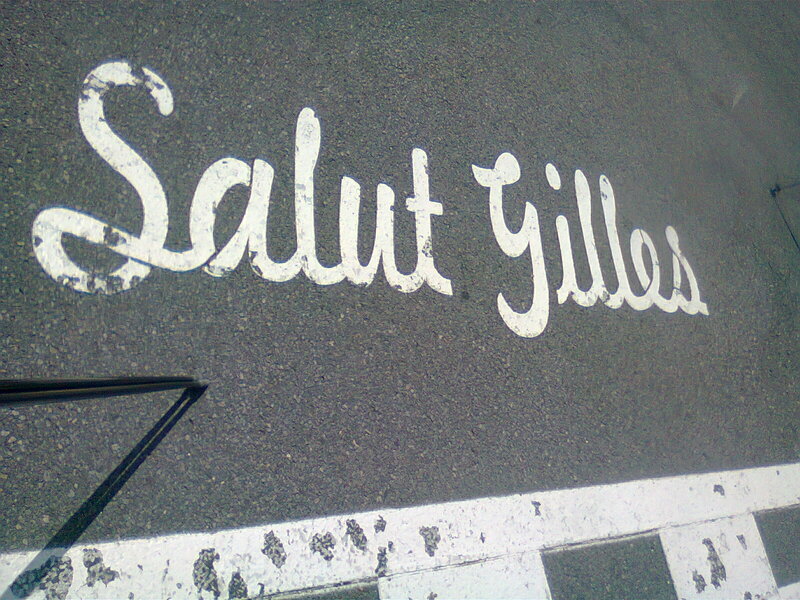 The inscription reads “Salut Gilles” in honour of Gilles Villeneuve. Did you see any rubber pellets from the F1 race? No sign of the infamous pellets – but the site had been pretty thoroughly cleaned by the time Brennan and I were there.